60 Minute Profit Plan Review - Scam or Legit? The fact that you're here reading this 60 Minute Profit Plan review tells me that you're interested in finding out if this product is legit, or if it's just another one of these garbage scams. This is another product that's run through ClickBank, so straight away, I'm feeling very sceptical about 60 Minute Profit Plan. But let's take a look at their website and do some digging. As I've already mentioned, 60 Minute Profit plan is being run through ClickBank, if you've read my other reviews like my The AZ Code review then you'll know exactly how I feel about ClickBank. They have a very bad reputation for having a massive archive of scams. There are so many red flags on the 60 Minute Profit Plan website. The fact that they claim this is a “Free Money Loophole” instantly makes me think that this is 100% a scam. There is no such thing as a “free money loophole”, and anyone who says there is, is lying to you. I also don't believe it's possible for a newbie just starting out to be able to earn $500+ per day. To me, that is just a ridiculous claim. 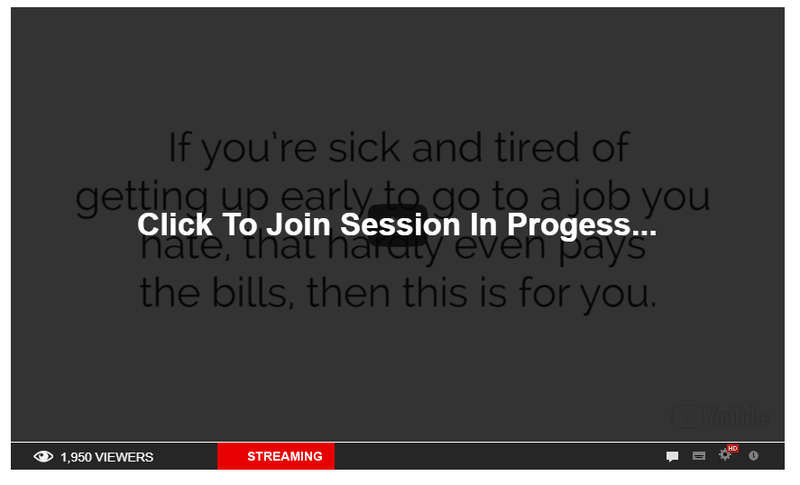 They're also lying to us, or misleading us into believing that this is a live session in progress. Like they're doing some live webinar that we're lucky enough to have come into just at the right time. But, obviously, it's not live. It's just a video. A very annoying video in fact, that you can't even pause. The ‘founder' of 60 minute profit plan is apparently this woman, Brittany Francis. However, a quick search of the image reveals that this is completely fake. The video is filled with fake testimonials and paid actors. They were very easy to find on Fiverr. 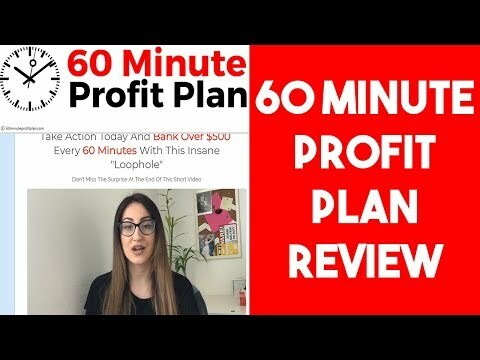 What Exactly Is 60 Minute Profit Plan? Well, even if you watch the whole sales video, you won't find this out. Not once is it mentioned how you'll be making the money. She only tells you that you can start earning money within 60 minutes. So, you wouldn't even know if the methods were legal, or illegal. They just expect you to be intrigued and give them your $37. Her claims are very intriguing and I imagine if I was a newbie just starting to try to earn some money online, I might be tempted into buying. So, I'm glad you're reading this review first, so I can save you your time and money. I purchased the program just because I was curious as to what garbage she was selling. My expectations were very low, and they were right to be. Inside the program is just 4 topics teaching you methods to earn money online. These methods are the most basic stuff that everyone should probably know anyway, such as: email marketing, taking surveys online, user tester, and a video telling you about Fiverr. These are certainly money making methods. But to earn $500 plus per day and “passively with no work” like she claims.. Impossible. The training for all of the topics was sub-par. the videos they provide you with are filled with very basic stuff that you could quite easily learn yourself on the internet for free. Also, the videos are only actually about 4 minutes long each. What do you expect to learn in 4 minutes? The only decent training inside was the one about email marketing. Honestly, that one wasn't too bad. But, there are far better options out there. Even some free options that would be more beneficial. The Verdict – Is 60 Minute Profit Plan a Scam? The question everyone is probably wondering right now is, is 60 Minute Profit Plan a scam? Because after all, you are actually getting a product. You give them your money and you do get something. So for that matter, I can't say that this is actually a scam. However, I will say that the product is unbelievably low quality and I would NOT recommend anyone purchases it. 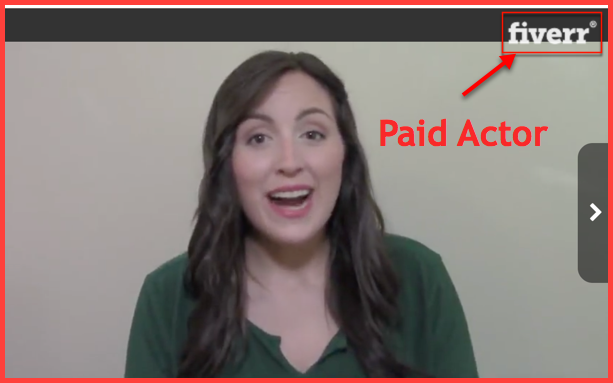 Your Easy Business Review – Exposing a Scam!